There is news in the ongoing tragic tale of the single turbine owned by Unifor at its Family Education Centre in Port Elgin. The wind turbine — which would not be permitted under today’s regulations, lax though they are — has resulted in hundreds of noise complaints. Promises of noise measurement have been made but little or no real action has taken place, and members of the community are still suffering from sleep disturbance and anxiety as a result of the noise emissions. Recently, Unifor had a deadline to produce a compliance audit. Here is correspondence from this week between the MOECC and Saugeen Shores Mayor Luke Charbonneau, sent to Wind Concerns Ontario. The Ministry of the Environment and Climate Change is committed to seeing that renewable energy projects are developed in a way that is protective of human health and the environment, and takes noise concerns very seriously. The ministry needs conclusive E-audits and I-audits in order to determine compliance with applicable noise conditions. On April 28, 2017, following finalization of the revised Compliance Protocol for Wind Turbine Noise, Unifor undertook the commencement of the acoustic audit as required by the ministry. Insufficient data was collected in the spring to make a valid assessment in accordance with the ministry’s Compliance Protocol. Unifor will reinstall the sound level monitoring equipment in September, when ambient noise will be lower to collect additional data so a valid assessment can be made. To date, the ministry has not determined that the Unifor Wind turbine is operating outside of the terms and conditions outlined in their Certificate of Approval, nor has the ministry confirmed any adverse effects due to the operation of the facility. If the ministry determines the facility to be in non-compliance with our legislation, ministry staff will take appropriate action through application of appropriate compliance and enforcement tools. Actions taken by ministry staff are assessed on a case-by-case basis and based on many factors, including an evaluation of risks to the environment and human health. Although the ministry has not identified any non-compliance related to noise, Union Building is voluntarily derating and shutting down the wind turbine under certain conditions. I am, unfortunately, all too aware of the information in your email. UNIFOR’s voluntary derating and shutting down of the turbine has been in effect for many years now – it has not abated the negative impact on neighbouring property owners. UNIFOR’s ‘voluntary’ acoustic audit has been promised for four years now. They have failed to deliver it because you consistently fail to demand it. The Ministry has not determined that the turbine is operating out of compliance because you have failed to investigate in spite of four years of ongoing complaints from the neighbours who are experiencing “unconfirmed” adverse effects. You are a regulator and you failing to regulate. You cannot permit this years long delay and procrastination to continue while people continue to suffer. I again ask you to order the turbine shut down until the often promised (never delivered) audit can be completed – this, in the interest of public safety and your legal and moral obligations. Wind Concerns Ontario received documentation on wind turbine noise reports 2006-2014 earlier this year via a request through the Freedom of Information Act. Many of the Master Incident files (i.e., files that had so many individual complaints they were bundled into larger “master” files) were related to the Unifor turbine, so many in fact that the single turbine ranked fourth in the number of complaints after multi-turbine projects Melancthon, Enbridge, and Talbot wind farms. 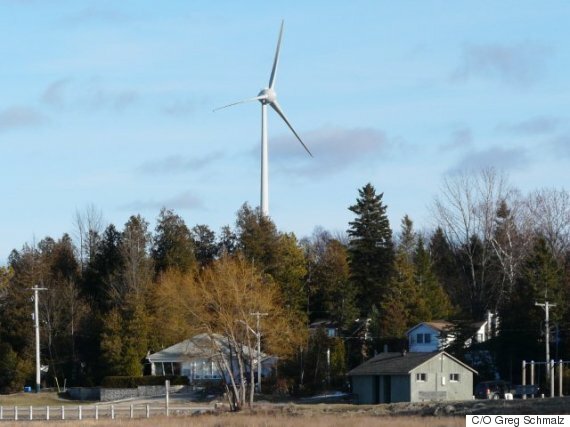 In one report dated 2014, the MOECC staff recorded: “extremely loud swooshing and raking sound from the turbine blades – also a banging noise from the turbine vibrations could be felt.” The complaint, as others, was referred to Unifor for action. Once again, with problems like these ongoing and without proper action by the ministry, no new wind power contracts should be approved. This government needs to acknowledge the problems and take action, immediately. Please note that there are problems in Huron County as well. A health investigation was started in May 2016, Since then we have had one delay after another, and still no remedy for those living under turbines. Meanwhile all correspondence has been kept from public view. I join others demanding transparency from our government, and an immediate resolution to this urgent health issue. act out of conscience on behalf of their fellow citizens, who are being harmed. People being harmed and/or their advocates, have used the proper protocol to alert those who are collectively responsible for this harm. Waiting for the election and knowing what is known about cumulative effects of harm, is unacceptable. Forced relocation is unacceptable. Here’s an article that was published last evening at wattsupwiththat regarding the future of industrial scale wind. The reactions are still coming in. Wind power has ZERO reliability. Why would anyone buy something that may not work when needed even if that something is cheaper ? The comments by Matt Bergin regarding our situation in Ontario and the “extremely high harmonic levels” and the “computer control and system glitches” are interesting. While these problems occur and the turbines are off, people being harmed in Huron County are so relieved! They express euphoria over having the safety, security and pleasure of their beloved homes back again, as they hope the turbines will remain off forever. Renewable energy is part of the global U.N. agenda. It’s nice to have a forum where renewable energy technology is discussed by those with scientific knowledge. More people need to participate in this discussion. Yes it is a very rigorous discussion forum. No one gets away with making claims that can’t be proven to be scientifically sound. Industrial scale wind articles are receiving hundreds of highly critical comments. They are naming names of people, government agents, non government agents and organizations as well as media outlets from many countries around the world who have and still are twisting facts and distorting data to alarm gullible people who lack critical thinking skills to be able to realize they are being manipulated to submit to costly ‘climate change’ mitigation efforts that have been forced on people without cost benefit analysis or sound scientific evidence of their safety. The U.N. agenda has also been heavily critiqued with factual information. Theres that Quebec power deal kicking in!!! Great news folks. I just sold my soul to the devil for one wish! Kathleen Wynne will retire, barefoot, broke and pregnant!